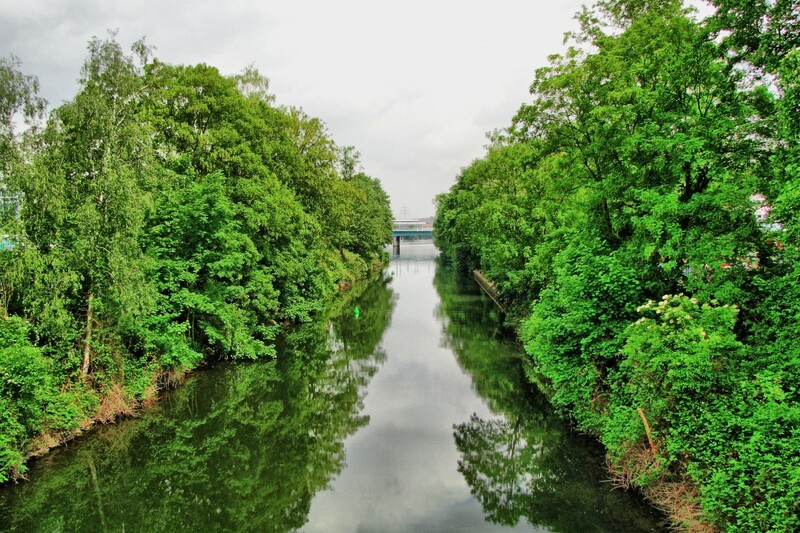 This is not a photo of Mülheim’s Wasserbahnhof – this was taken from the bridge that connects the Schleuseninsel to the city. The ship’s lock is right behind me, the bridge is actually part of it and this is the arm of the river with the lower waterline. In the distance you can catch a glimpse of the Schlossbrücke, which is about 350 meters further North.